Live a day in the life of farmboy Luke Skywalker—poor womp rats! We all know that the first Star Wars film changed the face of pop culture forever when it hit theaters 40 years ago—but it’s not just the movie that’s celebrating that milestone in 2017. Star Wars comics arrived with force in 1977, and hundreds of issues later, they’re more popular now than ever. 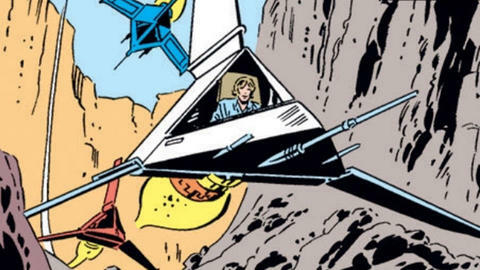 Just before their attack on the first Death Star, Luke Skywalker tells Wedge Antilles, “I used to bullseye womp rats in my T-16 back home.” From a period when Star Wars comic book writers had only one movie to work from—hard to imagine today!—throwaway lines like that could provide the entire basis for stories. Such proved the case for STAR WARS #17 in 1978, plotted by Chris Claremont, written by Archie Goodwin, and penciled by Herb Trimpe and Allen Milgrom. Extrapolating from that single line of dialogue hinting at fun times on Tatooine—maybe with a little help from “just like Beggar’s Canyon back home…”—we’re treated to a day in the life of farmboy Luke Skywalker. This includes interactions with eventual Red Squadron teammate Biggs Darklighter, an altercation with a Tusken Raiders, a race through Beggar’s Canyon in said T-16 skyhopper, and—perhaps coolest of all—bulleyesing womp rats…in his X-34 landspeeder, but we’ll take it. We wouldn’t learn until added footage to the “Star Wars Special Edition” in 1997 that George Lucas never intended them to be green. 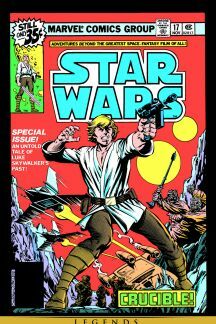 At a time when Star Wars comics got a little out there, STAR WARS #17 holds up as something that could actually fit within the canon even today. Give it a read through Marvel Unlimited sometime.